Do You Need a Surf-Specific Training Routine? Swimming and surfing have a lot in common, but they’re far from the same sport. Physiologically speaking, swimmers and surfers use the same muscles for propulsion in very different ways. 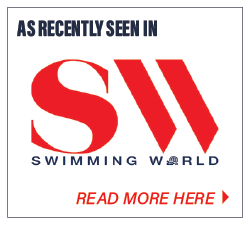 Freestyle swimming involves pulling through the water with the upper body, keeping the bodyline long & straight while rotating the torso and kicking with the legs for more propulsion. Paddling a surfboard is very similar to Freestyle swimming with regard to “pulling”. However, the surfer is stretched out on a rigid buoyant surfboard, so there’s less ability to counterbalance and the surfer does not flutter kick for propulsion. The back and core muscles are constantly engaged to keep the body in line and the head up. Swimmers and surfers must rely on the muscles of the back, shoulders, legs, and core in very similar ways for propulsion. However, each sport presents varied challenges when training for their respective activities. While swimming laps can help surfers gain fitness, getting to a pool or open water with consistency can be challenging, especially for time-crunched busy people. Plus, surfers have fitness demands that surf-specific training can deliver to prepare them for better surfing sessions in the ocean. When it comes to training, surfing requires a great deal of aerobic endurance fitness, especially for paddling. According to recent studies conducted at Auckland University of Technology in New Zealand, surfing requires a higher level of aerobic endurance as well as muscular power on average. One goal of gaining powerful surf paddling fitness is to keep you on the board and moving forward so you don’t sink into the waves. That just creates more drag that fatigues your paddling power. This is especially true if you use a short surfboard, which have less buoyancy than longboards. The remainder of their time was spent maintaining position in the water and waiting for the right conditions to catch the next wave. 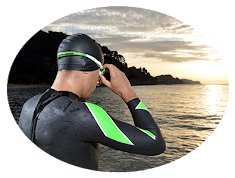 While swimming requires plenty of stamina — especially for triathletes who compete in open water over longer distances — surfers require stamina plus short burst paddling power to catch the waves they want to ride. Because of this, surfers may find that their training needs differ from the traditional swimmer if they want to have the stamina to paddle out over and over to catch more waves, which is when the real thrills of surfing happen. The types of swells surfers encounter can also impact the intensity of their surfing. Groundswells, for example, have a wave energy that can reach as deep as 1,000 feet and travel for thousands of miles. For surfers that want to successfully ride a wave like this, they need incredible stamina, core stability, and lots of paddling power. Much like any sport, surfing is a highly specific skill that requires plenty of practice. The key to long-term success for surfers is mastering the proper movement patterns required both in and out of the water in ways that are consistent, effective, and safe. The ideal way to improve surfing skill is to surf more often, of course, but surfers still struggle with the same thing that all swimmers do: it’s challenging just to get to the open water to train. One of the best ways to maintain surf-specific paddling power, core strength, and overall fitness is to use a consistent dryland training routine. The dryland workouts must include the right exercises that will translate into greater surfing fitness once the surfer gets in the water. That’s why the right dryland training exercises for surfers are so important. 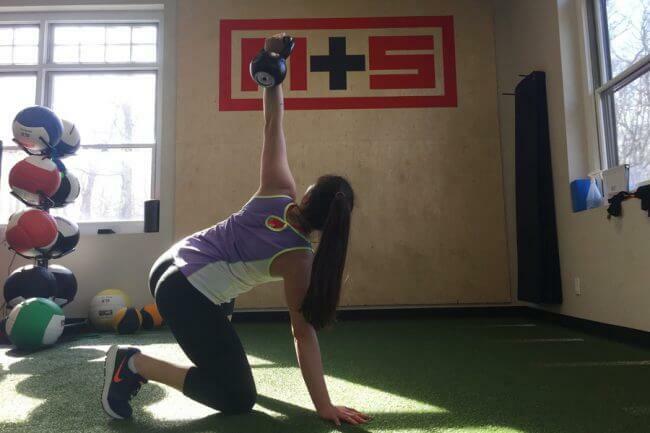 Surf-specific dryland training is also a necessity because the inherent requirements are different than a traditional swimmer’s. Surf-specific fitness programs are becoming more popular, such as Peter Estabrooks Surf Fit program. It’s essential that surfers find exercises and programs that focus on the muscle strength, endurance and paddling power that they need in order to enjoy stronger, longer surf sessions. When conditions make getting to the water difficult or impossible, surfers can maintain their strength, stamina and power with the use of surf-specific dryland training, including paddling-specific exercises. Maintaining paddling power and stamina allows you to enjoy longer, stronger surf sessions. It also could make the difference between life and death when you need to get out of strong rips or sudden weather changes, for example. This might include using paddling-focused training that gives you upper body strength, particularly in the back and core, so that paddling doesn’t fatigue you over long distances or difficult swells. Stand-up paddling exercises can also make the difference when you’re out on the water, whether surfing or even as a paddle boarder. 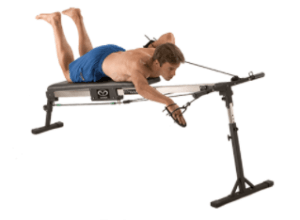 This Vasa Trainer workout helps surfers with their paddling technique, as it mimics the movements that a surfer would perform in the water with added resistance for increased strength training. The Vasa SpaceSaver SwimErg is great for time-saving, high-quality specific swimming, surfing, & SUP paddling power and stamina. It can also be used for resistance to injury (injuries that might become life-threatening when you’re in the water). Surfers can benefit from other forms of dryland swim training, like yoga, which improve flexibility and core stability when riding the board or transitioning from flat to standing positions. If possible, learn good form and training methods from a qualified conditioning trainer, surf coach or swim coach with surf experience (remote or in person). Of course, the goal of any dryland training should be to improve surfing form in a way that can easily translate to a better, safer performance when you’re actually on the water. When training for a better surf, it’s important that surfers understand their goals and how to use exercises to create more explosive power and better recovery. Surfers should focus on things like single leg strength and balance, a solid and supportive core, and full body endurance, so adding in exercises like uphill sprints or even lap swimming in a pool can help provide this when you can’t get to the open water. If your training doesn’t improve your surf skill when you get to the ocean, it’s important to re-evaluate and create a surf-specific training strategy that will maintain high performance and, most importantly, safety. Surfers and swimmers have a lot of the same goals, like becoming stronger, better and faster at their sport. Surfers do face different challenges in the water than swimmers do. So it’s important for surfers to prepare on land using specific exercises designed to improve paddling stamina and total-body strength for the specific demands of paddling out, catching and then riding a lot of waves. 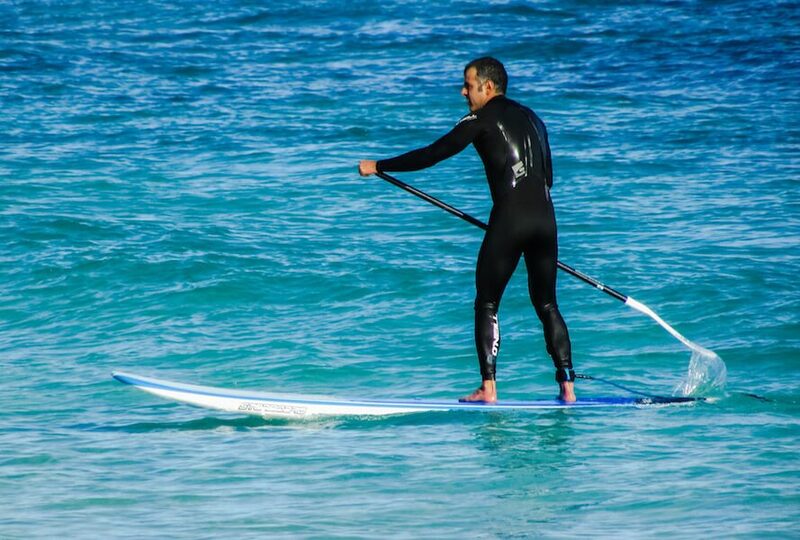 The less you can get to the water to surf, the more important it is to maintain surf-specific fitness at home or the club so you can be fit and ready to safely enjoy your next surf session or surfing vacation. Here are 5 of the best dryland exercises that surfers should use to improve performance. Subscribe to get this free resource.